Guide to installing and evaluating OpenIDM software. This software offers flexible services for automating management of the identity life cycle. 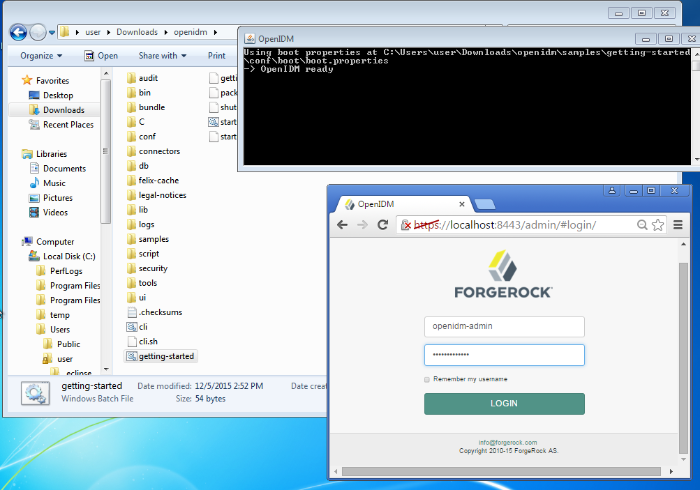 This guide shows you how to install and get started with OpenIDM software. This guide is written for identity management developers and administrators who build, deploy, and maintain OpenIDM services for their organizations. This guide covers the tasks you need to quickly get OpenIDM software running on your system. As you read this guide, you will see how OpenIDM software reconciles customer identity data to ensure accurate information across disparate resources within an organization. You will also read about what OpenIDM software can do in the areas of provisioning, self-service workflows, and password management. 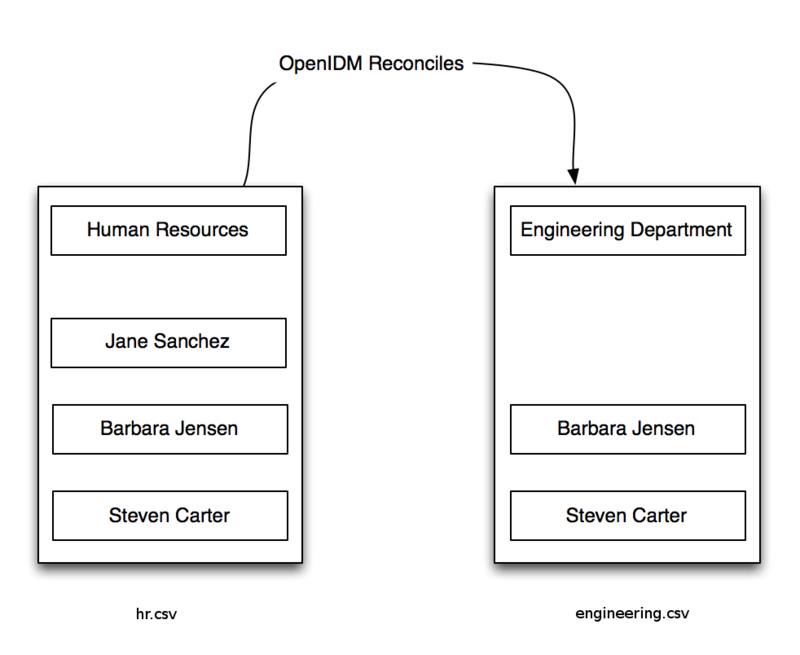 You will see how OpenIDM software can connect to a variety of remote data stores, with links to detailed documentation. For example, engineers might access their systems through Active Directory accounts. Those same engineers might need to update their information in a Human Resources database, stored in a separate LDAP directory. With OpenIDM software, you can keep those user identities synchronized, so each engineer only has to update their data once. 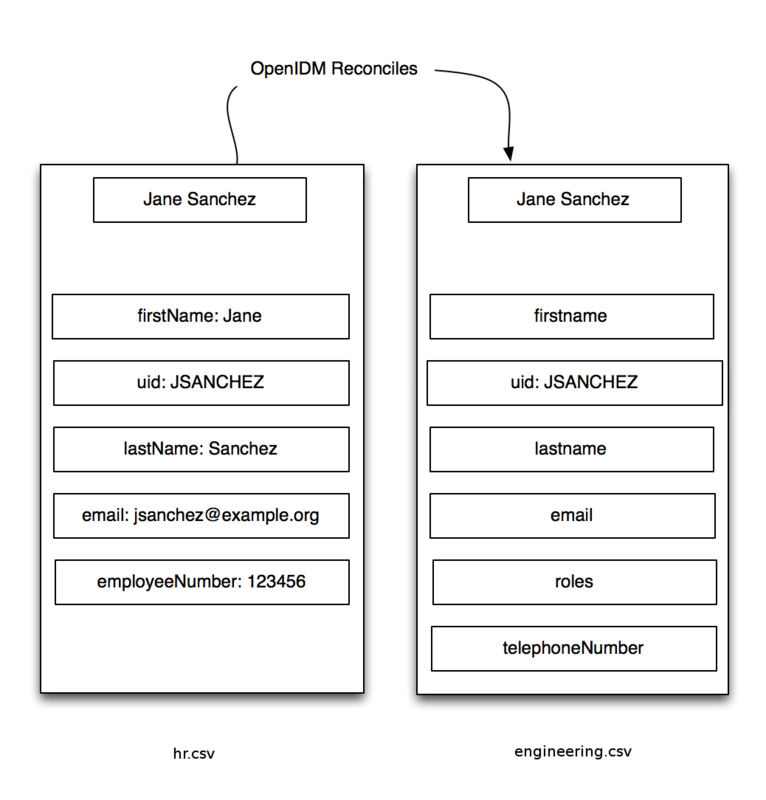 With situational policies, OpenIDM can handle discrepancies such as a missing or updated address for a specific user. The server includes default but configurable policies to handle such conditions. In this way, consistency and predictability is ensured, in an otherwise chaotic resource environment. OpenIDM can make it easier to track user identities across these resources. The server includes a highly scalable, modular, readily deployable architecture that can help you manage workflows and user information. You can manage employee identities as they move from job to job. You will make their lives easier as their user accounts can be registered on different systems automatically. Later, OpenIDM can increase productivity when it reconciles information from different accounts, saving users the hassle of entering the same information on different systems. We provide this Getting Started document for demonstration purposes only. With this document, we want to make it as easy as possible to set up a demonstration of OpenIDM software. To that end, we have written this document for installations on a desktop operating system, Microsoft Windows 7. This procedure assumes that you are starting OpenIDM as a regular (not administrative) user named user. Extract the contents of the OpenIDM binary file to your user's Downloads directory. The process should unpack the contents to the Downloads/openidm subdirectory. In production, you should connect to OpenIDM via the default secure port, 8443, and import a signed certificate into the truststore, as discussed in "Accessing the Security Management Service" in the Integrator's Guide. When you log into OpenIDM at a URL with the /admin endpoint, you are logging into the Administrative User Interface, also known as the Admin UI. A central feature of OpenIDM is reconciliation - comparing the contents of two data stores and deciding what to do, depending on the differences. Mapping between data stores may require additional configuration. You should find two provisioner.openicf-*.json files in the /path/to/openidm/samples/getting-started/conf subdirectory. 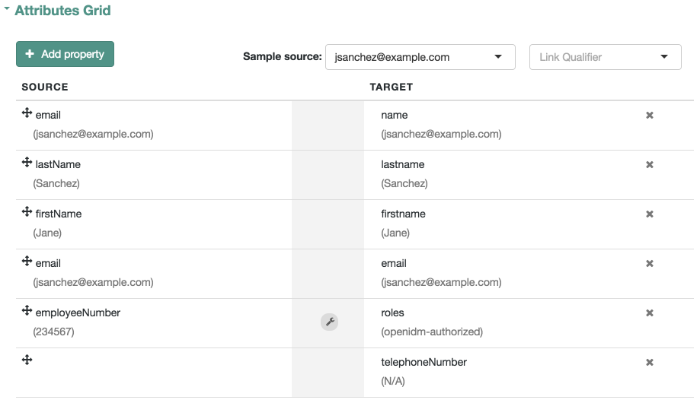 The provisioner files configure connections to external resources, such as Active Directory, OpenDJ or even the engineering.csv and hr.csv files used in this guide. For more information, see "Connecting to External Resources" in the Integrator's Guide. Additional workflows are provided, such as new user onboarding, orphan account detection, and password change reminders. For more information, see "Workflow Samples" in the Samples Guide. For more information, see "Working With Managed Roles" in the Integrator's Guide. For a sample of how you can configure external roles within OpenIDM, see "Demonstrating the Roles Implementation" in the Samples Guide. The OpenIDM documentation includes additional use cases. Most of them are known as Samples, and are described in "Overview of the Samples" in the Samples Guide. Choose the desired backend database for your deployment. OpenIDM supports MySQL, Microsoft SQL Server, Oracle Database, IBM DB2, and PostgreSQL. For the supported versions of each database, see "Before You Install" in the Release Notes. OpenIDM is self-contained. After you shut down the server, you can choose to delete the files in the /path/to/openidm directory. There are no artifacts in system registries or elsewhere. We hope that you want to continue exploring OpenIDM.